Gardening club has finished for the year, in our last session we decorated the wild garden for Christmas using our recycled tree. We have a few crops still growing at school, we have garlic and broad beans which were planted in October, they will grow over winter to be harvested in spring next year. 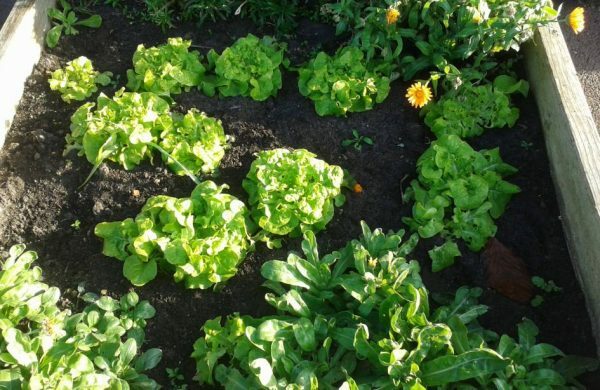 We also have lettuce growing which is lovely to see at this time of year. The gardens are getting ready for winter, leaves are falling from the trees. We have been collecting the leaves in a big bag which will turn into lovely compost over a couple of years. Some of our trees and shrubs produce berries which are a great source of food for birds and insects, a particularly beautiful sight are the red rose hips in our Physic Garden.